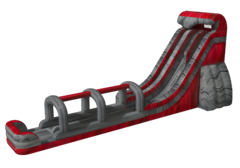 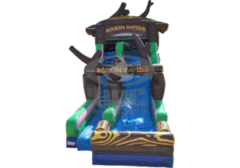 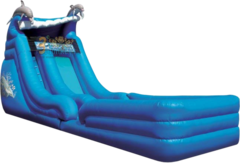 Waterslide Rentals are summer's favorite exciting activity for just about anything from rewards for a great school year, birthday parties, block parties, fourth of july events, summer cook outs, church events, college events, school events, campground open houses and of course camps. 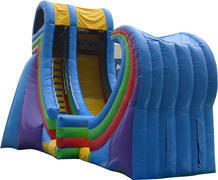 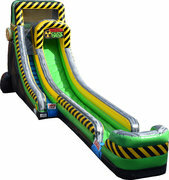 We provide waterslide rentals for corporate events and open house events. 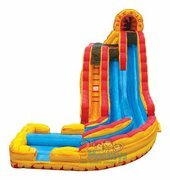 All you need is to add a waterhose that reaches to the area that you want to place the waterslide. 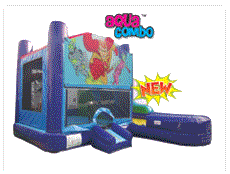 We will hook it all up prior to leaving the site.